From the launch of previous version Nexus 7, Google prove that the Android is also competing in tablets, however also they defeat Apple iPad mini in sales from few months. They also took the time for Google Nexus 7 to get a grip within this industry. Now today, Google established their attractions also greater, straight into the 10 inches tablet exactly where Apple iPad exists. Google Nexus ten is simply outstanding by having a Retina Display with 10 inches display screen and the resolution of 2560 x 1600. The entirely latest dual core (Exynos 5 chip set) processor, with Android Jellybean 4.2 Operating System. Nexus is the brand who promises to provide instant updates for its user. Samsung powered as well as Google published their brand with the brand name "Nexus" they recently launched their latest version with model number "10". So it’s simply a combination of today’s leaders. Its front looks and appearance are really very attractive. Home, Back and Multitask keys helps to improve impressive impression to catch your eyes. Speakers are decently and very beautifully attached on Google Nexus 10’s edges. Its sound is much better than any tablet speakers. Its back cover is made with very soft and smooth plastic material, which helps you to grip your tablet quite perfectly. Google Nexus 10 also much larger than iPad 4 along with wider aspect ratio. Nexus 10 is the tablet with lightest weight (603 grams) ever. Its weight really adds more grace to attract the people. The thickness of Google Nexus 10 is 8.9 mm which is also an improvement than their last version. You will discover a really common range of jacks along with a 3.5 mm earphone port, Micro HDMI as well as Micro USB plus a lock and also volume buttons. 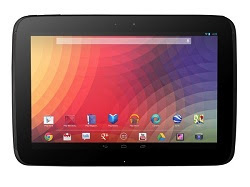 They are positioned on the top of Google Nexus 10, which is really a little bit uncomfortable location but you will get familiar with it very quickly. You will get a couple of cameras as well, a front-face camera with 1.9mp and also a back side camera with 5.0mp combined having an LED flash-light. Google Nexus 10’s camera is also able to record videos on 1080pixels. Its front-face camera is absolutely ideal regarding video conversation and also the back side camera competes many smartphone's camera, however Google made it much useful and efficient for Nexus 10. So at the end, Samsung and Google have done the great work together and they launch their recent innovation in tablet industry. Fenix Raw is an IT professional from Test4prep.Are you really Looking for this 70-415 Exam assistance? Move ahead to take the benefit of 70-484 Exam and pass your exam easily.